Mensusa https://www.mensusa.com/articles/shirt-and-tie-a-sleek-and-smart-combination-of-apparel.html Shirt And Tie- A Sleek And Smart Combination Of Apparel A carefully paired shirt and tie can elevate your appearance manifold. This combination enables you to make a stylish, decent and elegant public appearance. The shirt and tie give you a sleek, smart and elegant look at the business and special event appearance. The appropriate combination between the shirt and the tie is sure to present you as a fashionable man with mature dressing sense. Especially during the summer months, when carrying a suit coat becomes a tough deal, this combination will come as a highly comfortable and very relevant choice of apparels. You need to understand that even if you would put on the suit, still the shirt & tie will be the foundation for the overall apparel. Hence, the shirts and ties hold a crucial place in the domain of men's fashion. For the routine business appearances as well as for the corporate functions, a set of carefully paired shirt and tie can do magic to grace your appearance. You should ideally go for the solid shirts and the tie can either be in solids or patterned design. For the colors, you need to match between the two on a color-contrast basis. It will be wise to refrain from choosing light or deeper shades of the shirt and the tie at the same time. The combination of the shirts and ties will rock at the special events as well. While dressing for the special events, you should ideally go for more vibrant colors. You can even opt for the gracious bow ties for these events. In case, you decide to put on a blazer or a conventional suit over the shirt, you have to ensure that the design and colors of the coats, shirts, and the tie are complementing each other. For the special event dressing, the contrast colors for the shirt and the tie will be the right option to embrace. 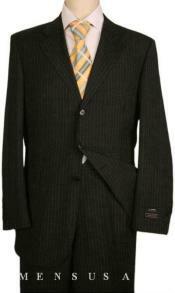 The market is flooded with an inexhaustible option on various designs and colors of shirts and ties. It comes to your responsibility that you pick up a combination that matches each other and on the whole complements your physical features and personality. You will be getting the availability of shirts and ties in sets and it will definitely be a cost-effective purchase. A perfect and appropriate combination between the shirt & the tie will boost your appearance manifold and get you to the notice of the crowd revolving around you. Visiting www.mensusa.com, you can expect to get a rich portfolio of premier shirts and fashionable ties at a really delightful price. Getting the availability of the top quality and stylish apparels at an inexpensive price, you can wonderfully support your fashion pursuits. The store has earned a reputation for offering delightful customer services. Deal with this store with confidence and be assured that you will surely make a pleasant experience.